The digitally printed durable label is designed to withstand harsh weather conditions allowing for versatile product placement and billboard advertisement. 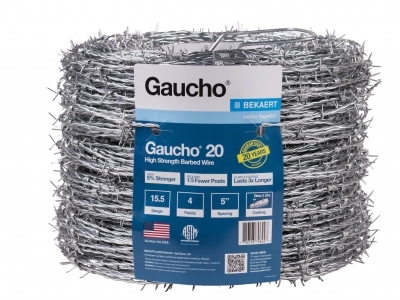 The perforated holes allow the barbed wire to thread behind the durable label providing a secure attachment on a rough product. It is top-coated with UV-inhibitors to ensure ink color stability and fade resistance during long-term exposure to the weather in an outdoor retail environment.